I took this photograph this morning as I dropped Jeff Miller co-founder of Honor Flight at the Lincoln Memorial. He’s here to help with a group of 450 Korean War veterans from Nevada. And Senator Dole has been sighted at the WWII Memorial so the SEASON IS OFFICIALLY UNDERWAY! Spring is fast approaching but not even spies know when the Cherry Blossoms will appear. They are however in my DC PHOTO BOOK and I will be signing copies at the International Spy Museum on March 22nd and 23rd in anticipation of this annual rite of Spring. Posters on the front of the Museum will be advertising the event and I am delighted to be represented by this world class facility. February 20, 2014 | Comments Off on Honor Flight Summit! I had the opportunity to make some new infrared images at Herrington Harbour Marina and thought I would share the results with you. For “repeatable” results, it’s best to set the camera on automatic and bracket one-half stop in each direction. More importantly, setting the “white balance” on the camera (see lifepixel website) is essential if you want control over the skies. The C&O Canal at 30th Street. The Canal was a project dreamed up by George Washington and he saw it as the Nation’s Gateway to the West. It stretches up to Cumberland, Maryland and I have done the trip by bicycle (The Washington Post) and by car (National Geographic Traveler). Ironically, by time the Canal was finished, the majority of the cargo carried was coal for the train which ran parallel to it and eventually put it out of business. This is the first time I have been able to get down to the Memorial to catch the flakes falling and the fountains running at the same time. One of these days, the “Wall of Stars ” will be completed and the lights on. We’re making progress. It was an exceptionally quiet time and there were only a few people at the Memorial all taking pictures and all very cleverly staying out of each’s others pictures. Quite a nice experience. It’s nearing the end of the boating season (at least for us!). We started the day off with rain and decided to simply stop by the Marina for lunch and take a stroll but all of sudden, serendipity. The weather went from fog, to crystal clear and back to cloudy in three blissful hours of sailing with a steady ten to fifteen knot wind. Honor Flights at WWII Memorial! October 20, 2013 | Comments Off on Honor Flights at WWII Memorial! 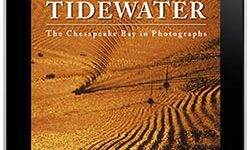 Tidewater: The Chesapeake Bay in Photographs” is now uploaded to the Amazon website and can be downloaded instantly for your reading pleasure on almost any device. Cool Technology!